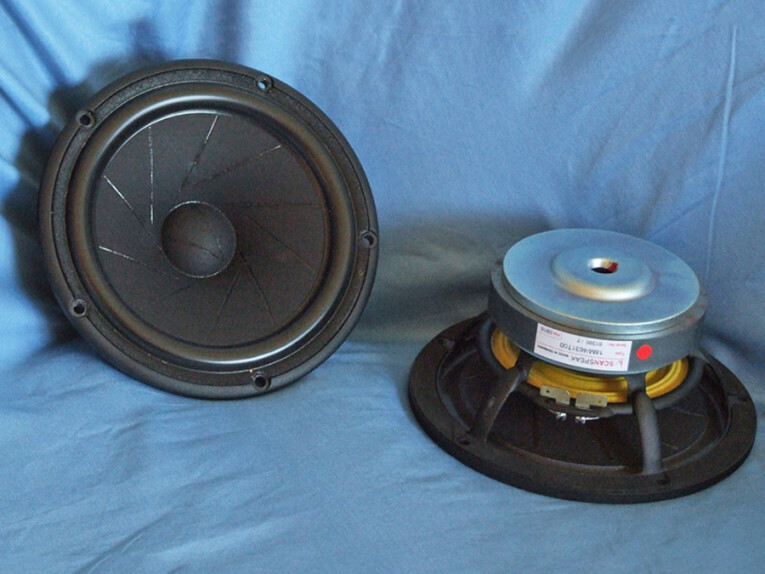 This Test Bench characterizes the Scan-Speak 6.5” 18M/4631T00 Revelator midrange driver, nominally a midrange version of the Scan-Speak 18W/8531G00 with higher sensitivity and shorter XMAX. The original Scan-Speak 18W/8531G00 was a true high-end audio classic and probably one of the most visible high-end drivers ever used in high-end loudspeakers. This article was originally published in Voice Coil, June 2016. 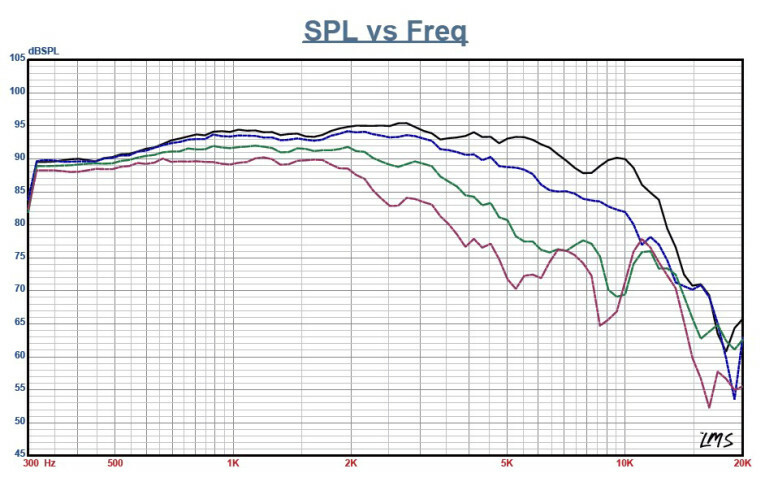 This month I tested the Scan-Speak 6.5” 18M/4631T00 Revelator midrange driver (see Photo 1). 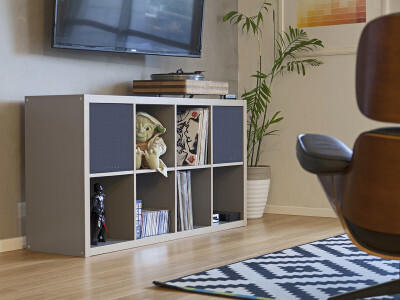 The 18M/4631T00 is nominally a midrange version of the Scan-Speak 18W/8531G00 with higher sensitivity and shorter XMAX. The original Scan-Speak 18W/8531G00 was a true high-end audio classic and probably one of the most visible high-end drivers ever used in high-end loudspeakers. Photo 1: Scan-Speak’s 18M/4631T00 Revelator midrange. 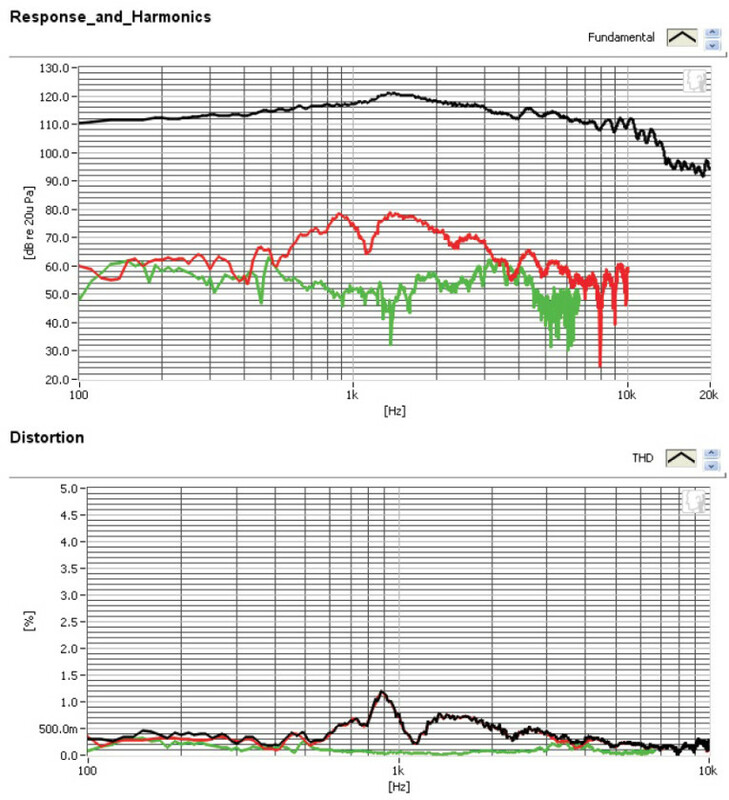 Figure 1: Scan-Speak 18M/4631T00 1 V free-air impedance plot. Table 1: Scan-Speak 18M/4631T00 data comparison. As you would expect, the feature set for the 18M/4631T00 is very similar to the original 18W’s. 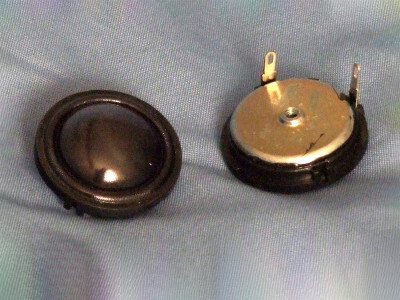 This includes the updated slim profile cast-aluminum frame, a version of the original uncoated sliced paper cone (for reduced cone break-up modes), a 1.5” diameter sliced convex paper dust cap, 38 mm diameter voice coil wound on a titanium former, SD-1 patented Symmetric Drive (SD) motor structure with a 110 mm × 18 mm ceramic ferrite magnet. (The Symmetric Drive motor uses an extended vented pole with an angled chamfer on the pole top section and three copper shorting rings, one centered on the gap and one located above and one located below the cap area.) The 18M/4631T00 also has a T-yoke with a 12-mm diameter pole vent. 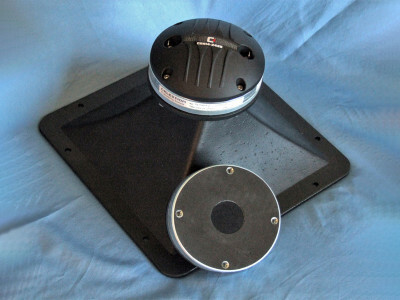 Compliance is provided by a low damping styrenebutadiene rubber (SBR) surround and a 3.5” diameter flat cloth spider. Last, the voice coil is terminated to a pair of solderable gold-plated terminals. I used the LinearX LMS analyzer and VIBox to create both voltage and admittance (current) curves with the 18M/4631T00 clamped to a rigid test fixture in free air at 0.3, 1, 3, 6, and 10 V. Since the 18M/4631T00 has 3 mm XMAX like a 6.5” woofer, it stayed linear enough for LEAP 5 to get a curve on the 10 V sweep. It should be noted that this multi-voltage parameter test procedure includes heating the voice coil between sweeps for progressively longer periods to simulate operating temperatures at that voltage level (raising the temperature to the third time constant). I post-processed the 10 550-point stepped sine wave sweeps for each 18M/4631T00 sample and divided the voltage curves by the current curves (admittance) to create impedance curves, phase added using LMS calculation method. I uploaded them, along with the accompanying voltage curves, to the LEAP 5 Enclosure Shop software. Besides the LEAP 5 LTD model results, I additionally created a LEAP 4 TSL model set of parameters using just the 1 V free-air curves. I selected the final data, which includes the multiple voltage impedance curves for the LTD model and the 1 V impedance curve for the TSL model, and created the parameters to perform the computer box simulations. 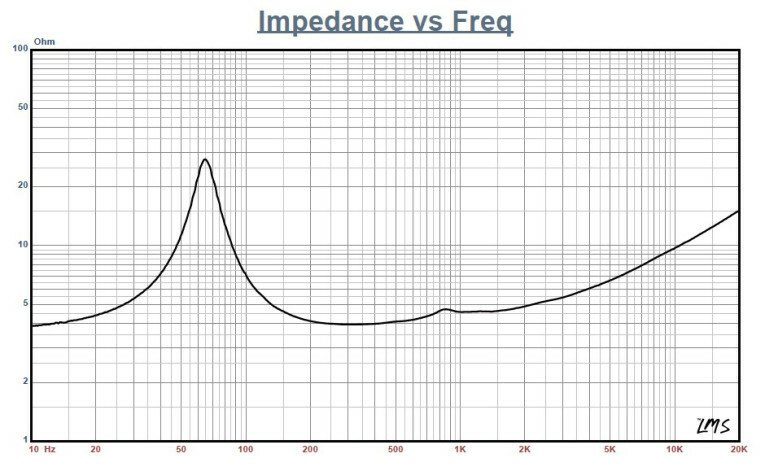 Figure 1 shows the 18M/4631T00 ’s 1 V free-air impedance curve. Table 1 compares the LEAP 5 LTD and the TSL data and for both of 18M/4631T00 samples, as well as the factory parameters. LEAP parameter calculation results for the 18M/4631T00 were pretty much in line with the Scan-Speak factory parameters, with the sensitivity number being a decibel or so low. 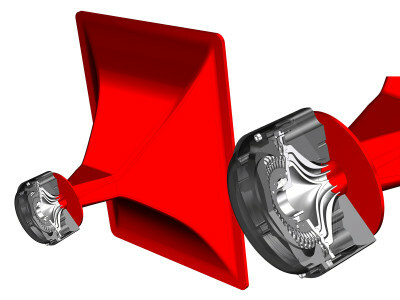 Now it should be obvious that a midrange driver such as this will never get used in its piston range and probably crossed over between 200 to 300 Hz, substantially higher in frequency than it’s piston range performance. Figure 2: Scan-Speak 18M/4631T00 computer box simulations (black solid = sealed 1 at 2.83 V; blue dash = sealed 2 at 2.83 V; black solid = sealed 1 at 9 V; blue dash = sealed 2 at 14 V). Figure 3: Group delay curves for the 2.83 V curves shown in Figure 2. Figure 4: Cone excursion curves for the 9 V/14 V curves shown in Figure 2. The reason I go through the box simulation exercise is to mostly get an idea of the frequency and Q of the impedance resonance, as this information is useful if you are designing a passive high-pass section of a passive band-pass network. Given this, I set up computer enclosure simulations using the LEAP LTD parameters for Sample 1. I set up two box simulations, one sealed Butterworth (QTC = 0.7) alignment and one Chebychev alignment (QTC close to 1). For the Butterworth closed-box simulation, I used a 0.7-ft3 enclosure with 50% fiberglass fill material, and for the Chebychev-sealed box simulation, a 0.22-ft3 also with 50% fiberglass fill material. Figure 2 shows the 18M/4631T00’s results in the two sealed enclosures at 2.83 V and at a voltage level sufficiently high enough to increase cone excursion to 3.5 mm (XMAX + 15%). This yielded a F3 = 74.4 Hz (F6 = 59.7 Hz) with a box/driver QTC of 0.71 for the 0.7-ft3 sealed enclosure. The test also yielded a –3 dB = 96.9 Hz (–6 dB = 80.9 Hz) QTC = 0.93 for the 0.22-ft3 sealed box simulation. Increasing the voltage input to the simulations until the maximum linear cone excursion was reached resulted in 102.5 dB at 9 V for the larger sealed enclosure simulation and 108 dB with an 14 V input level for the smaller sealed box. Figure 3 shows the 2.83 V group delay curves. 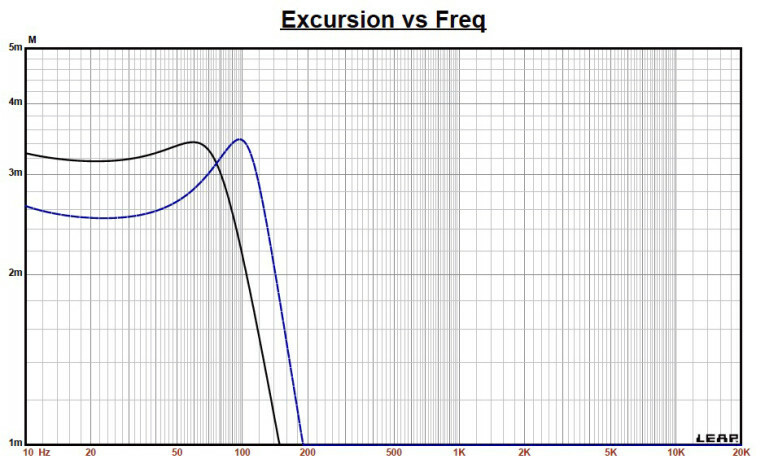 Figure 4 shows the 9 V/14 V excursion curves. 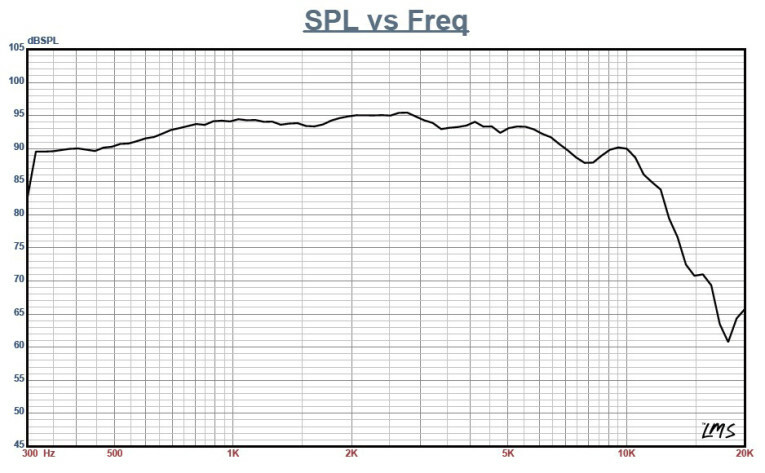 Again, since this midrange driver will likely high-passed above 200 Hz, the max SPL will be substantially higher that its max piston range SPL. Figure 5: Klippel analyzer Bl (X) curve for the Scan-Speak 18M/4631T00. Figure 6: Klippel analyzer Bl symmetry range curve for the Scan-Speak 18M/4631T00. 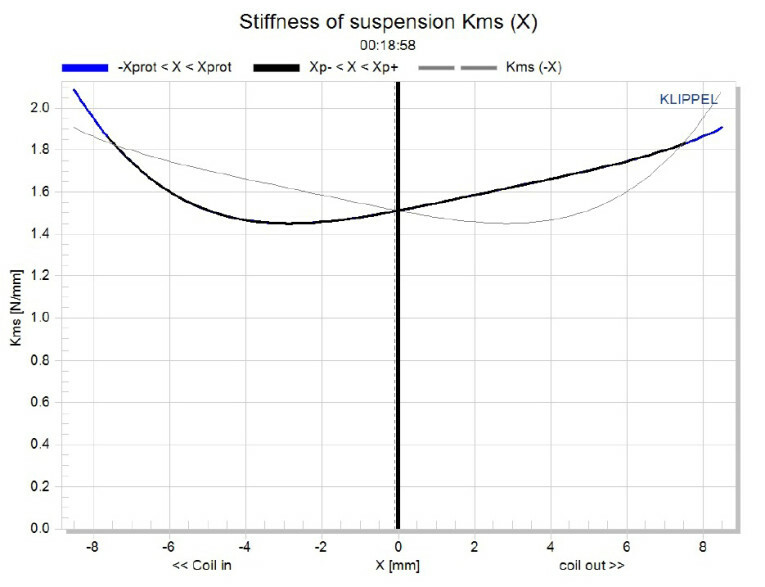 Figure 7: Klippel analyzer mechanical stiffness of suspension KMS(X) curve for the Scan-Speak 18M/4631T00. Figure 8: Klippel analyzer KMS symmetry range curve for the Scan-Speak 18M/4631T00. Klippel analysis for the 18M/4631T00 produced the Bl(X), KMS(X), and Bl and KMS symmetry range plots given in Figures 5–8. The 18M/4631T00’s Bl(X) curve shown in Figure 5 is symmetrical and typical of a moderate XMAX driver. 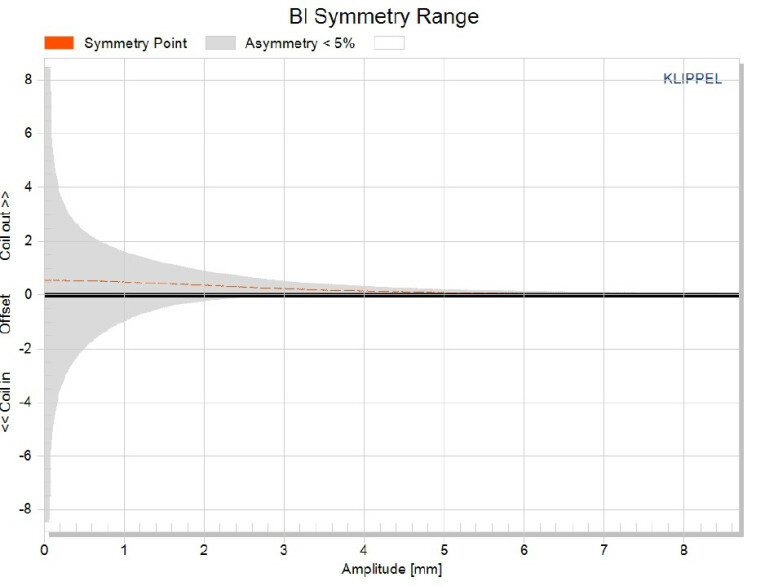 Bl symmetry plot, shown in Figure 6, reveals a curve with a trivial coil forward (coil out) offset at the 2 mm position (a point of reasonable certainty) of 0.37 mm that goes to 0.24 mm offset at the 18M/4631T00’s 3 mm physical XMAX. Note that the data has a fair degree of uncertainty (the expanding grey area indicates the level of uncertainty of the graph), but a high degree of certainty at the 3 mm position. Figure 7 and Figure 8 give the KMS(X) and KMS symmetry range curves for the 18M/4631T00. 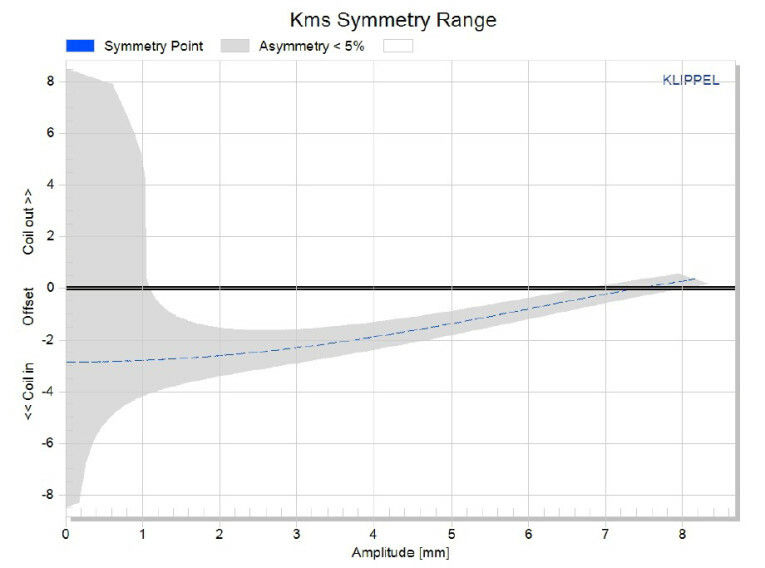 The KMS(X) curve looks rather asymmetrical in both directions with some substantial offsets in the coil position as reflected in the KMS symmetry range curve. However, this is not the driver’s fault, nor does it accurately represent the compliance. When you have more excursion available than the amount of Bl you can push, the Klippel analyzer can’t get a sufficient curve fit to resolve the compliance. This doesn’t happen very often, but it occasionally does. Unfortunately, this means we can’t really get a look at the compliance for the 18M/4631T00. However, given the fact that you will not be operating this driver in its piston range, it’s not a critically important factor. 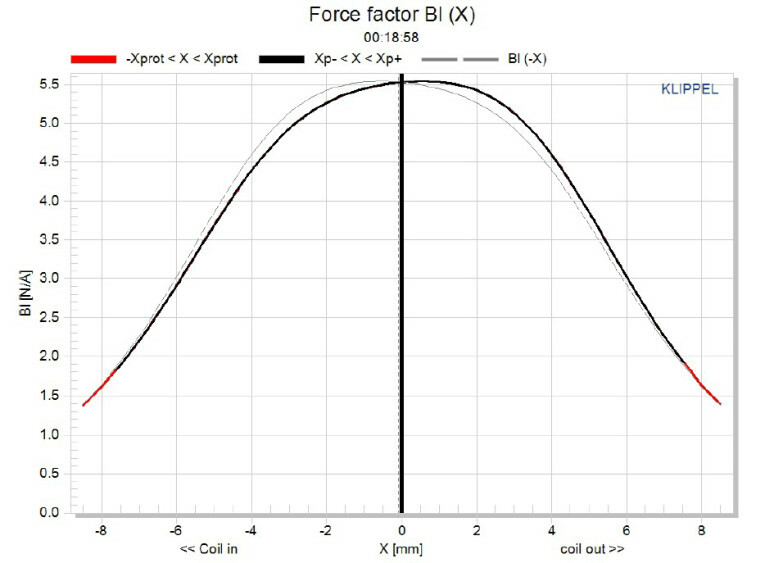 Displacement limiting numbers calculated by the Klippel analyzer for the 18M/4631T00 were XBl at 82% Bl = 3.8 mm and for crossover (XC) at 75% CMS minimum greater than 7.5 mm, which means that for the 18M/4631T00, the Bl was the limiting factor for a distortion level of 10%. It was greater than the 18M/4631T00’s physical XMAX, but again, this is due to the analyzer not being able to resolve the compliance for this driver. Figure 9: Klippel analyzer L(X) curve for the Scan-Speak 18M/4631T00. 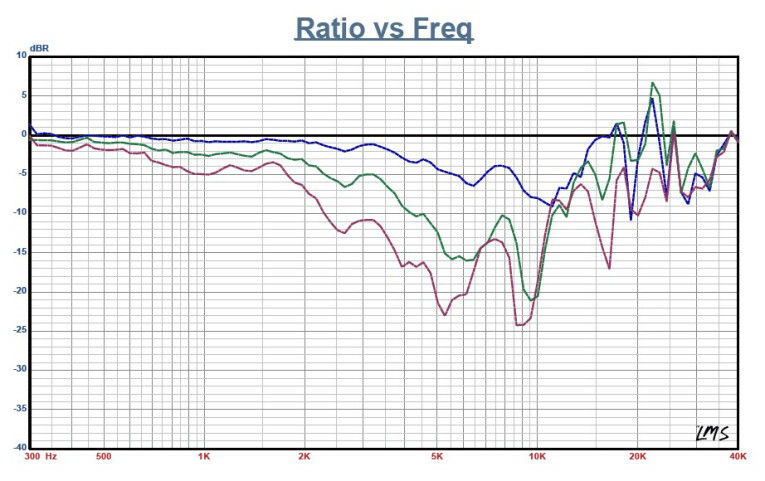 Figure 10: 18M/4631T00 on-axis frequency response. 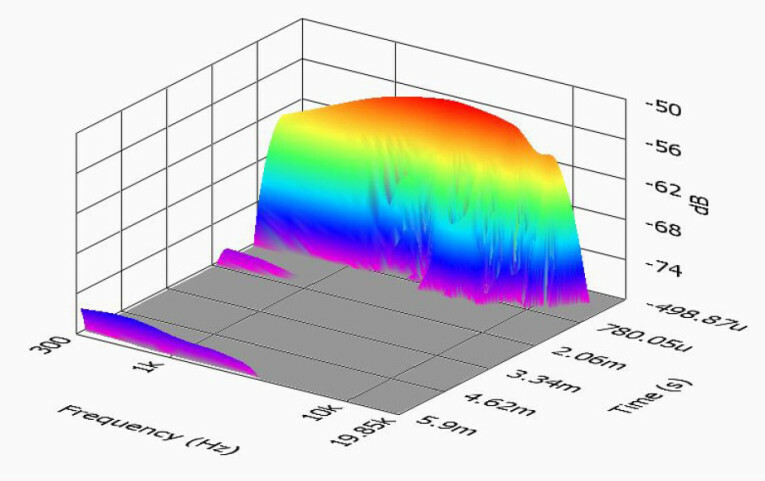 Figure 11: Scan-Speak 18M/4631T00 on- and off-axis frequency response (black solid = 0°, blue dot = 15°, green dash = 30°, purple dash/dot = 45°). 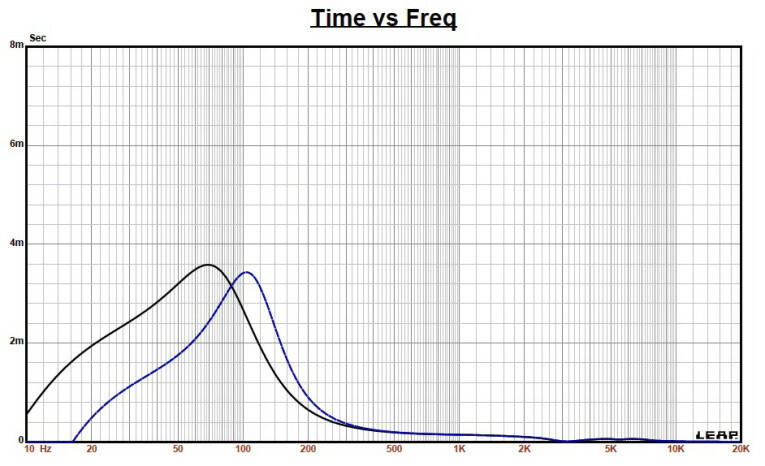 Figure 12: Scan-Speak 18M/4631T00 normalized on- and off-axis frequency response (black solid = 0°, blue dot = 15°, green dash = 30°, purple dash/dot = 45°). Figure 13: Scan-Speak 18M/4631T00 0° to 90° horizontal plane CLIO polar plot (10° increments). 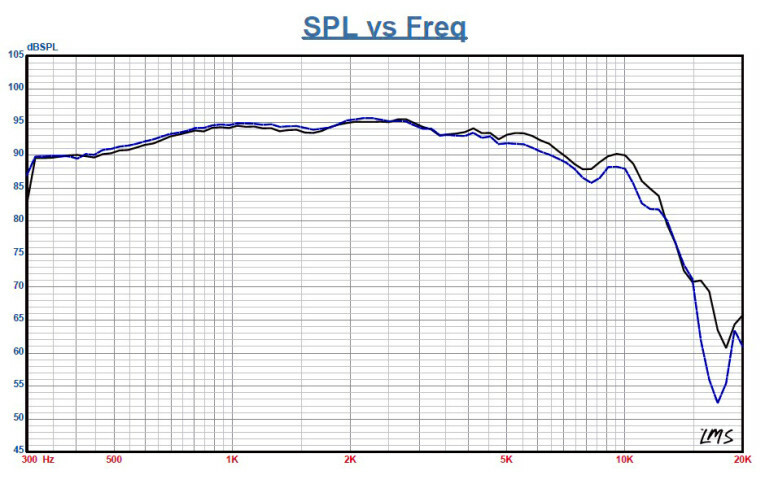 Figure 14: Scan-Speak 18M/4631T00 two-sample SPL comparison. 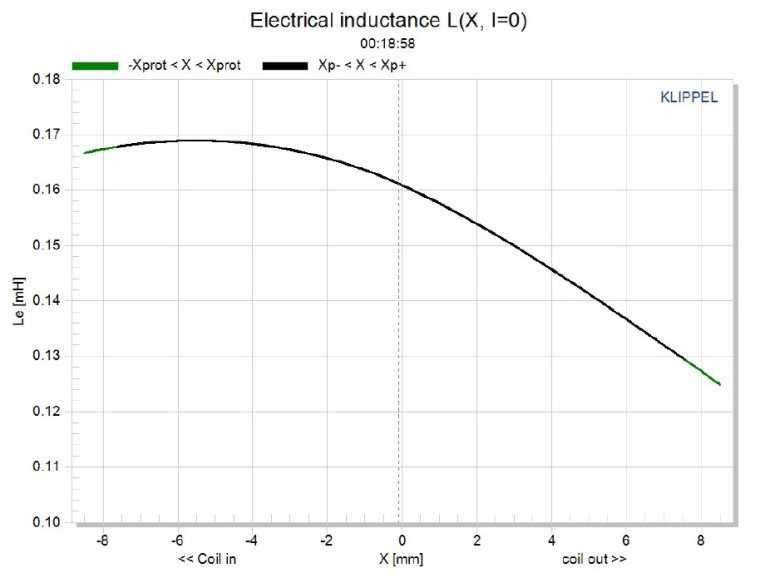 Figure 9 gives the inductance curves L(X). The curve indicates an increasing inductance as the coil moves inward. 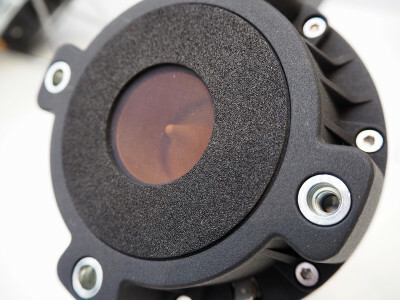 However there is only very minor change in inductance throughout the 18M/4631T00’s operating range, a key to low distortion performance and the result of the SD-1 motor’s triple copper shorting rings (Faraday shields). 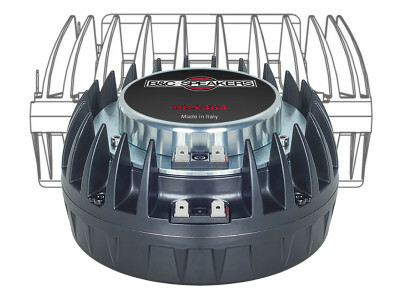 Inductance change from the rest position to XMAX coil-out position was only 0.011 mH, and even less, 0.00 6mH to the XMAX coil-in position, which is really excellent performance. Following the Klippel testing, I mounted the 18M/4631T00 in an enclosure that had a 17” × 8” baffle and was filled with damping material (foam). I measured the device under test (DUT) on and off axis from 300 Hz to 20 kHz frequency response at 2.83 V/1 m using a 100-point gated sine wave sweep. Figure 10 shows the 18M/4631T00’s on-axis response displaying a smooth rising response to about 2.75 kHz, followed by a shallow 5 dB decline to 10 kHz, followed by the drivers second-order low-pass rolloff. 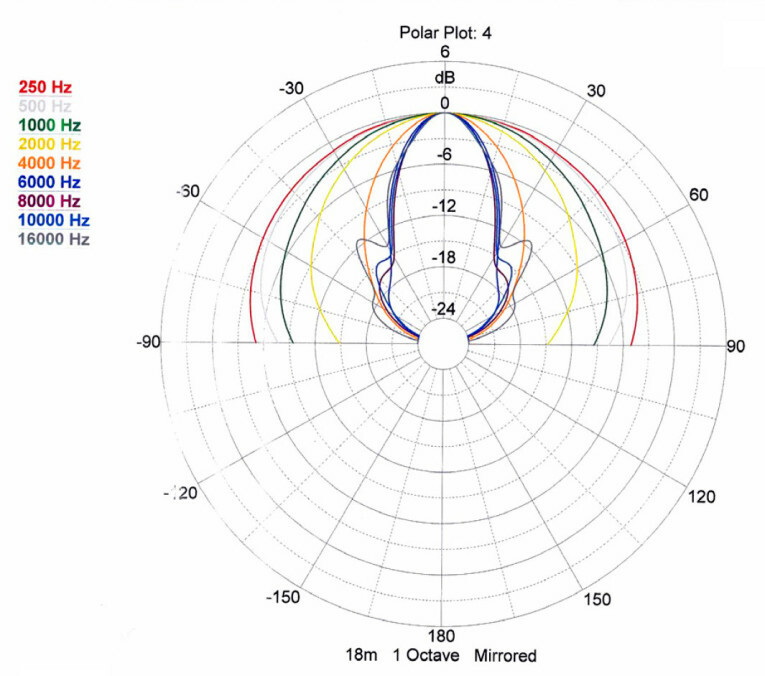 Figure 11 depicts the on- and off-axis frequency response at 0°, 15°, 30° and 45° with the normalized view shown in Figure 12 and the associated CLIO polar plot shown in Figure 13. The –3 dB at 30°, with respect to the on-axis curve, occurs at 2 kHz, so a cross point in that vicinity should work well to achieve reasonable power response. 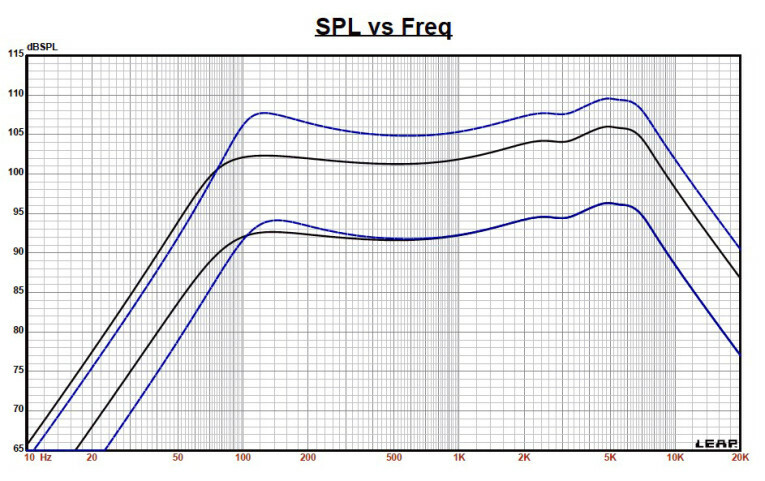 Figure 14 shows the 18M/4631T00’s two-sample SPL comparisons, which reveals a close match up to 4.8 kHz, with about 1.5 dB variations above that frequency. Figure 15: Scan-Speak 18M/4631T00 SoundCheck distortion plot. 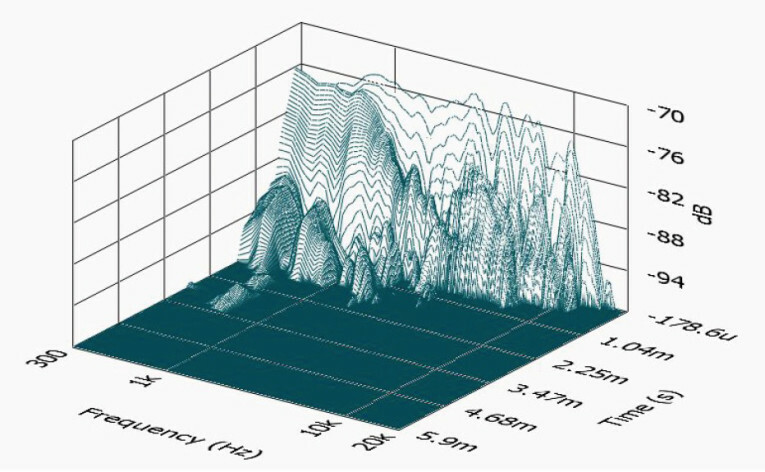 Figure 16: Scan-Speak 18M/4631T00 woofer SoundCheck CSD waterfall plot. 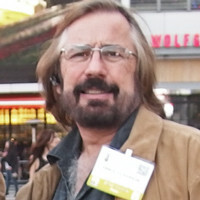 Figure 17: SB Scan-Speak 18M/4631T00 SoundCheck Wigner-Ville plot. For the last group of tests, I employed the Listen SoundConnect analyzer and SCM-2 microphone (courtesy of Listen, Inc.) to measure distortion and generate time-frequency plots. 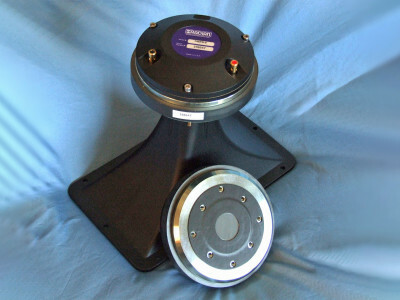 Setting up for the distortion measurement consisted of mounting the woofer rigidly in free-air and using noise stimulus to set the SPL to 94 dB at 1 m (3.98 V). 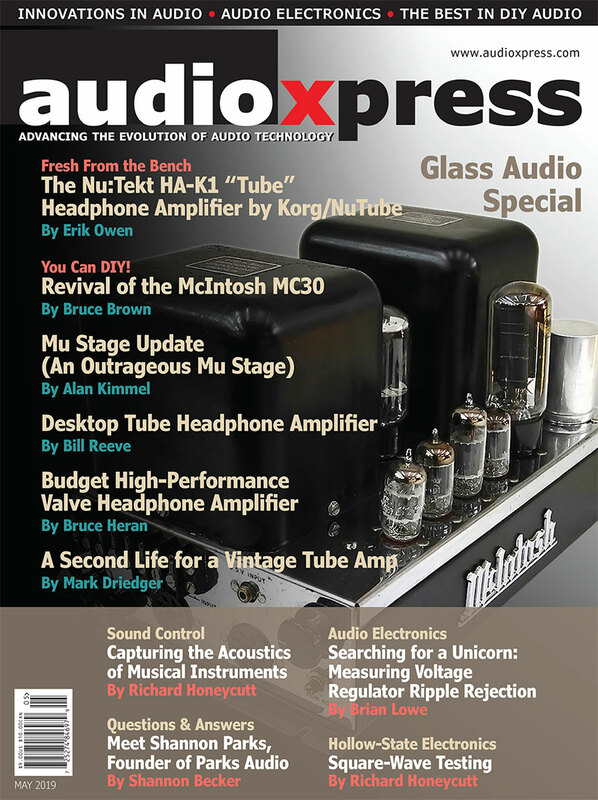 As some of our readers might know, SoundCheck 14 has a software generator and a SPL meter as two of its utilities. 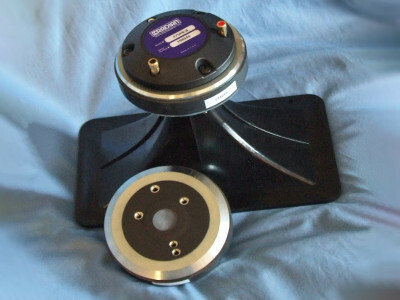 Next, I measured the distortion with the Listen microphone placed 10 cm from the dust cap. Figure 15 shows the distortion curves (note this is now being displayed on a log scale). Last, I employed the SoundCheck analyzer to get a 2.83 V/1 m impulse response and imported the data into Listen’s SoundMap Time/Frequency software. Figure 16 shows the resulting cummulative spectral decay (CSD) waterfall plot. Figure 17 shows the Wigner-Ville logarithmic surface map plot, which I used for its better low-frequency performance. 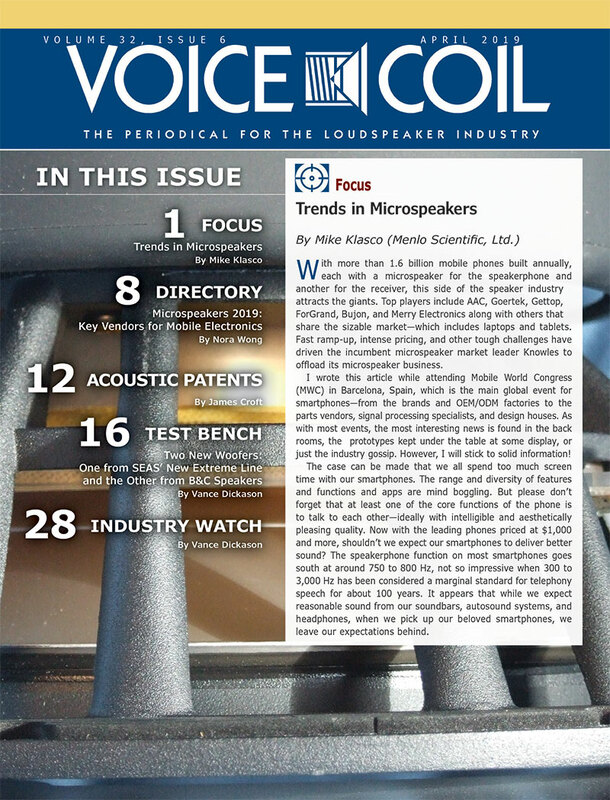 This article was originally published in Voice Coil, June 2016.